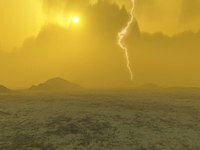 Shock waves are difficult to simulate on a computer. Due to the large, rapid changes, often oscillations occur in the mathematical solutions. In November, Ute Ebert (CWI) received a large STW grant for three research projects on discharges. These projects are about X-rays and gamma radiation from lightning, air purification with discharges for highway tunnels and hospitals, and environmentally friendly high voltage switches for power plants. With new simulations Alejandro Luque and Ute Ebert (CWI) explained huge lightning flashes above clouds: sprites. They published their results in Nature Geoscience, which appeared online on 25 October 2009.